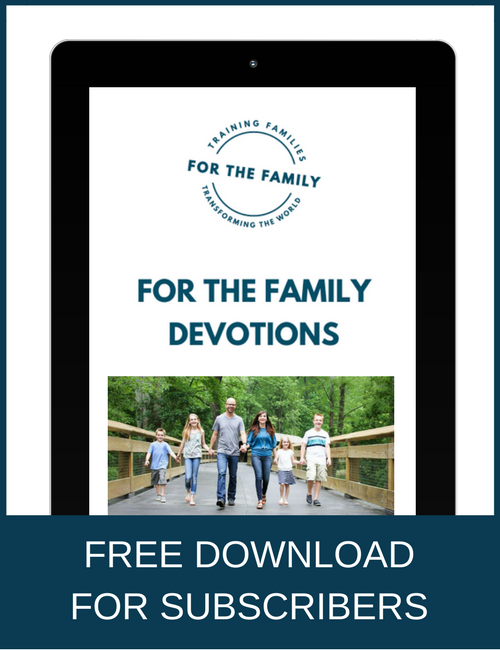 Welcome back as we dive in deeper today and look at each of our teenagers developmental tasks and how they can impact the heart of a teen as it relates to parents. (You can READ PART ONE HERE). Click here to subscribe to For The Family and receive a free printable, Parenting Angry teens. If you are already a subscriber, your download link is in today’s email. Based on affiliation, autonomy and identity, here is when each becomes prominent and how to parent your teen through that particular stage. Affiliation: When you’re teen is having trouble fitting in or belonging, this is a sensitive spot parents can easily bruise. Their heart is screaming, “I fear you will reject me or misunderstand me.” It will often be expressed in anger that withdraws or isolates. Parents who try too hard to check up on their kids but don’t really sit and listen to their kids can breed a sense of emotional distance (Proverbs 18:13). Teens can make it really hard, since they are guarded and don’t really invite us in often. If we take it personally, we have lost the battle already. Your teen may be thinking, “why don’t you want to engage me on my level or why don’t you like me, or believe it or not, I miss you…” But what they are saying out loud are things like, “I hate it when you ask me 20 questions, or you don’t get it!” What is really hurtful to us is we most often really want to engage and may feel like we are losing our kids to influences that are negative or hard to compete with. This can lead to fear based parenting that only drives a deeper wedge. We need to create moments of engagement, ask them to be patient with us and admit when we react in fear. Autonomy: When your teen is having trouble coming into their own, this is a fuse you don’t want to light. Their heart is screaming, “You will smother me or I know if I tell you, you will judge me”. It will often be expressed in anger that resents and ridicules. The other big trigger when autonomy issues are in play is perceived hypocrisy (our teens feel a God given right to compare and judge their parents with abandon). Maybe we have yelled or lost it. Maybe we do the thing we ask them not to do. Worse, maybe we judge them for the very things we struggle with (Rom 2:3-4). Our kids are thinking, “why don’t you admit you’re struggling too and get off my back”. They may be saying something more like, “you are such a hypocrite, or you have room to talk!” We know we do it but can’t seem to help it because we want better for our kids and think we can lecture, warn, and consequence them while modeling the same wayward behavior. This leads to “because I told you so” parenting out of frustration that may have worked with our 6 year old but will blow up in your face with a 16 year old. We need to admit our hypocrisy, ask them to pray for us, and help them know the why behind our concerns. Identity: When your teen is trying to figure out who they are and what they stand for, they are particularly defensive when you compare them to a model child or tell them what you think they should be. They fear you want them to be like you or someone they are not. This is often expressed in anger that grows cold and callous. A progressively callous heart can come from the conditions above or when a teen looks to the world for their identity (Eph 4:19). They may go to church, youth group and even to a Christian school, but their heart is lukewarm at best. They have not connected the power of the gospel to who they are or everyday life. They are thinking something like, “good for you that you love Jesus and church but let me figure it out for myself,” and maybe say, “I don’t like church, and I really don’t care about quiet time, the prayer meeting or what God is teaching you right now!” Parents desperately want them to find their identity in Christ but sometimes, if we are honest, our identity is wrapped up in work, status, or even how our kids act, not our walk with Christ. This may lead to over spiritualized parenting out of guilt or control. It is tempting to motivate spiritual interest with external pressure and moral choices and miss the heart. We need to see our own tendency to wander, ask our kids to forgive us, and share from the heart. Nothing melts the heart of an angry kid like a truly humble parent. A humble parent is not easily offended, is not embarrassed by their kids, and won’t readily engage in a control battle. The simplest way to put it is the more you are like Christ, the more it will force the issue to be more between them and God and not flesh reacting to flesh. As parents we need to keep our heart in check and to engage our teens with patience and grace. They need guidance, correction, and at times consequences but always with a humble heart that is willing to try to understand where they are at and what they are struggling with behind the anger. 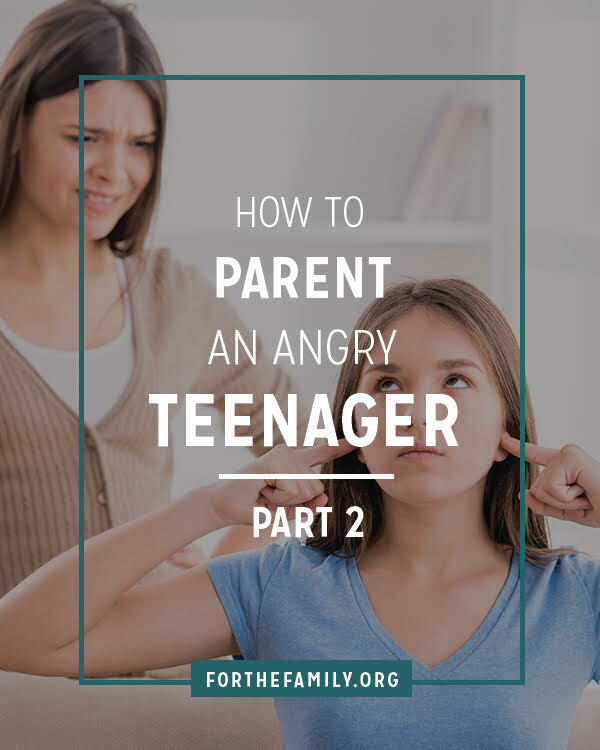 Click here to subscribe to For The Family and receive the tips from our two-part series in a free printable, Parenting Angry teens. If you are already a subscriber, your download link is in today’s email. Dr. Garrett Higbee is executive director of Biblical Soul Care at Harvest Bible Chapel in Chicago. He is also the executive director of the Biblical Counseling Coalition, and co-founder and former president of Twelve Stones Ministries. 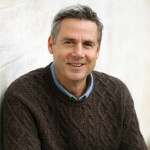 Garrett has been involved in counseling for over 30 years. After a life changing encounter with Christ in 1993 he left the field of psychology behind with a deep conviction that true heart change can only happen through biblical counsel and the sufficiency of the Scriptures. He has recently focused on developing healthy leadership cultures in the church and is a frequent speaker on counseling topics nationally. He has been privileged to author several chapters in books related to counseling and small groups including Counseling the Hard Cases, Christ-Centered Biblical Counseling and Scripture and Counseling. 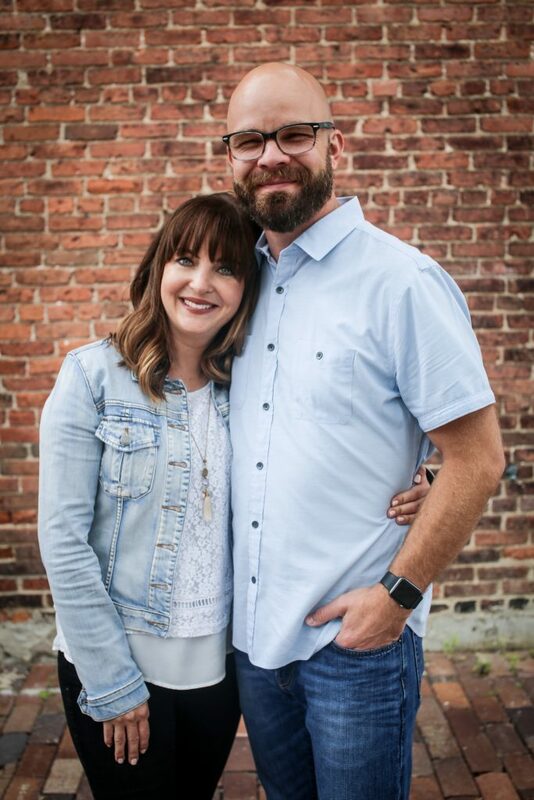 Garrett and his wife Tammy have three children (Rachel, Zachary, and Sarah Beth) and live outside Chicago, IL.